Seems a little silly that we’re reporting on this, but we just can’t seem to get enough 4G LTE Android talk these days, especially with CES starting, well, today! Verizon dropped a little press release in our box this morning to let us know that they plan to provide a sneak peak this Thursday, at an entire “suite” of Android devices that will run on their 4G LTE network. 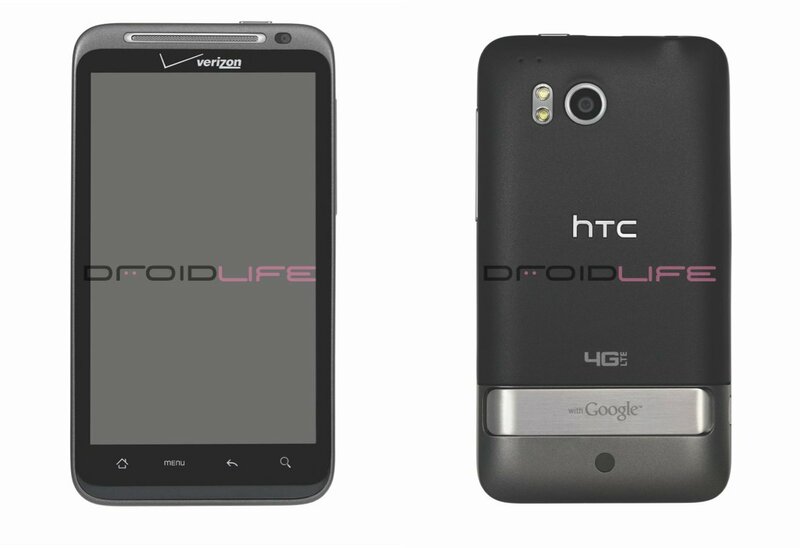 Yep, we’re talking January 6th and more than just the HTC Thunderbolt which you can see a 12-pic gallery of here. Of course, we already knew this was going down, but seeing the word “suite” brings up the excitement level a little. This can only mean we’ll also see devices from Motorola, Samsung and LG, right? Etna is the codename for the Tegra 2 device from Motorola, LG’s device will be called the Optimus 2X (previously the Star), Samsung is bringing the SCH-I520, and after typing all of that, just got excited. LAS VEGAS and BASKING RIDGE, NJ — Verizon Wireless said today that its first-ever exhibit booth at the International Consumer Electronics Show (CES) will show off the consumer and enterprise capabilities of its new 4G LTE network with the products, services and solutions that take advantage of the blazingly fast speed and low latency of the new wireless network. On Jan. 6, the company will also offer a sneak peek at a suite of Android-based LTE consumer devices at a news conference. Visitors to the exhibit booth (Las Vegas Convention Center, South Hall, #35216) will see firsthand how the nation’s fastest 4G LTE network can fundamentally change how consumers manage their daily lives and how businesses interact with each other and with their customers. Working with nearly 50 different technology ecosystem partners, the Verizon Wireless booth will highlight more than 40 new solutions that take advantage of the fast speeds and low latency of the new 4G LTE Mobile Broadband network. Demonstrations will range from connected home and cars to gaming and entertainment to consumer devices. The demos will also feature new ways to do mobile collaboration for retail, customer service and other industries; home and energy management; and consumer entertainment, including multiplayer gaming, all of which leverage the 4G network in innovative ways. Verizon Wireless and its partners will also feature remote security and health care options and a car that shows different applications coming from the automotive industry. Many of the solutions being highlighted are the result of collaborations fostered at Verizon Wireless’ LTE Innovation Center. The LTE Innovation Center, established in 2008 and located in Waltham, Mass., provides an environment for dozens of diverse companies to work collaboratively to develop innovative products and solutions that leverage 4G LTE technology. Verizon Wireless’ news conference will provide a sneak peek of a suite of consumer-oriented Android-based devices for its 4G LTE network and will include remarks from senior Verizon Wireless executives and key ecosystem partners. The news conference will be webcast live; visit www.verizonwebcasts.com/ces/2011/news to register. The Verizon Wireless 4G LTE network, launched in December 2010, is the fastest, most advanced 4G network in the United States, providing speeds up to 10 times faster than Verizon Wireless’ 3G network. Verizon Wireless’ 4G LTE network currently reaches one-third of all Americans, with plans to expand the network to the company’s entire 3G coverage area over the next three years. For more information about the LTE Innovation Center and Verizon Wireless’ 4G LTE network, visit www.verizonwireless.com/lte. For more information about Verizon Wireless at CES, visit www.verizonwireless.com/ces and follow the company on Twitter at http://twitter.com/verizonwireless. And We're Off to Vegas for CES 2011!